Anuradha Venkatakrishna, the Founder Director of Nrithyalaya, Neyveli, received the title of SANGEETHA NATYA SIROMANI from Sri Nataraja Muthamil Sabha of [Raja] Mannargudi for her contribution to the field of classical dance on Dec 25, 2006. THE LAKSHMINARAYANA INTERNATIONAL AWARD was conferred on Pt. Birju Maharaj on December 18, 2006 at the 15th Lakshminarayana Global Music Festival conducted by violinist L Subramaniam in Chennai. Bharat Kalachar awards for this year were conferred on December 15, 2006 at YGP Auditorium, Chennai. GNANA KALA BHARATHI for Vyjayanthimala Bali for dance; VISWA KALA BHARATHI for Sudharani Raghupathy, V P Dhananjayan and Shantha Dhananjayan; KALA SEVA BHARATHI for Roja Kannan; YUVA KALA BHARATHI for Lavanya Ananth, R Vineet, Nritya Jagannathan and Anwesha Das (Bharatanatyam), S Divyasena (all-rounder in Bharatanatyam, nattuvangam and choreography) and Nagalakshmi (dramatics). Bharatanatyam guru K J Sarasa was conferred ACHARYA KALA BHARATHI. The 26th Natya Kala Conference hosted by Sri Krishna Gana Sabha took place from Dec 14 - 20, 2006 at Chennai. Sangeeta Ishwaran’s lec-dem was chosen as the best of the conference by scholar /critic VAK Ranga Rao. Bharatanatyam dancer Leela Samson was honored as an artiste of exceptional talent with the GOWRI MANOHARI AWARD by mridangam guru Karaikudi Mani's Sruthilaya Kendra on December 14, 2006 at Chennai. 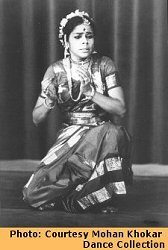 The Mylapore Fine Arts Club honored Bharatanatyam dancer Chitra Visweswaran with the title NRITHYA KALA NIPUNA for her service to the field of dance, at MFAC Auditorium on December 13, 2006. Bharatanatyam/Kuchipudi dancer Ananda Shankar Jayant, director of Shankarananda Kalakshetra, Hyderabad, was awarded the prestigious NRITYA CHOODAMANI by Sri Krishna Gana Sabha on December 7, 2006 at Chennai. Jayanthi Subramaniam got ACHARYA CHOODAMANI. The Nungambakkam Cultural Academy Trust conferred the title of NRITHYA KALA SIROMANI on Kuchipudi guru Vempatti Chinna Sathyam on December 4, 2006 at Rama Rao Kalyana Mandap, Chennai during its 37th anniversary. On the occasion of their 23rd Art Festival, Kartik Fine Arts conferred NATANAMAMANI on Bharatanatyam dancer Bhargavi Gopalan on Dec 1, 2006. BABA ALLAUDDIN KHAN AWARDS 2006 were given to L.K Pandit (Vocal), Pandit Debu Choudhary (Sitar), Ustad Amjad Ali Khan (Sarod), Sonal Mansingh (Odissi) on November 24, 2006 at Delhi. Odissi/Chhau dancer Ileana Citaristi received SANSKRITI SHROMANI-2006 at Naad Brahm Festival organised by Sangeetanjali at All India Radio Auditorium, Mumbai on November 19, 2006. The Dhananjayans were honoured and felicitated by the Indian Association of San Antonio and Natyanjali Festival 06 San Antonio (USA) with the title and honour of NATYAACHARYA on November 11, 2006 at Carver Centre for Performing Arts. This award instituted by Natyanjali Centre for Performing arts commemorate the first performance and workshops conducted by Shanta and Dhananjayan 20 years ago in the same prestigious theatre - The Carver Cultural Centre. The surprise announcement and conferment of the insignia (plaque of honour) came after the presentation of ‘Ekantha Seetha-the lonely furrow’ choreographed by The Dhananjayans and produced by the Cleveland Cultural Alliance, touring North America. The annual Bonnie Bird Choreography Awards ceremony took place in early November 2006. Lucia Silvestrini, co-founder of Protein Dance Company, presented the NEW CHOREOGRAPHY AWARD to winners Sonia Sabri, Shane Shambhu and Adesola Akinleye. The UK New Choreography Awards are aimed at supporting and nurturing new and emerging choreographers in the UK. The RAJYOTSAVA AWARD went to Padmini Rao, director of Ponnaiah Lalita Kala Academy (Bangalore) for the dance category and to Sadanand Kanavalli (Dharwad) for art critic category on Nov 1, 2006 at Bangalore. At a function organized by Veera Sringala Samarpana Samiti, Maddalam maestro Kalamandalam Sankara Warrier was honored with the title VEERA SRINGALA by Sri RamaVarma Kochaniyan Valiya Tampuran, the Maharaja of erstwhile Kochi. The program was held at Tripoonithura Kali Kotta Palace, Kochi on October 8, 2006. The first NATYA KALANIDHI AWARD instituted by Abhai (Association of Bharatanatyam Artistes of India) to commemorate its 18th anniversary, went to Peria Sarada and Pandanallur Subbaraya Pillai at a function at Sri Krishna Sabha on October 15, 2006. The award carries a gold medal, a citation and a purse of Rs.25,000 each. Natyarangam, the dance wing of Narada Gana Sabha, Chennai, celebrated its 10th Annual Bharatanatyam festival from September 6 – 10, 2006. The inaugural day saw honor for guru MK Saroja, SUDHARANAI RAGHUPATHY AWARD for mridanga vidwan N V Balakrishnan (Adyar Balu), OBUL REDDY AWARD for senior dancer Sheejith Krishna and VASANTHALAKSHMI NARASIMHACHARI AWARD for Nrithya Jagannathan (talent promotion). Anuradha Venkatakrishna's disciple Varsha Ramesh from Neyveli was bestowed with this year's ABHINAYA BHARATHI title for excellence in abhinayam in Kuchipudi style by Kalavardhani's on September 9, 2006 at Dakshinamoorthy Auditorium, Chennai. Noted film actor Gobind Tej, Odissi dancer Minati Mishra, theatre personality Madhabananda Kar and vocalist Raghunath Panigrahi were presented the GURU KELUCHARAN MOHAPATRA AWARD for 2006 on September 10, 2006 at Bhubaneswar. Instituted by Srjan, the award is given to an artiste each in the fields of dance, music, theatre and cinema. The award carries a cash prize of Rs. 25,000/- and a citation. The first VENMANI MEMORIAL AWARD on the first death anniversary of Kathakali musician Venmani Haridas, was presented to Kathakali actor Kottakal Sivaraman at a function held at Krishnatheertham auditorium, Thodupuzha, Kerala, on September 16, 2006. Kalamandalam Vasu Pisharody received the PATTIKKAMTHODI RAVUNNI MENON MEMORIAL AWARD for 2006 on September 18, 2006 at a function held in Kerala Kalamandalam, Cheruthuruthy. On September 30, 2006 on the 126th birth anniversary of Annamalai Chettiar, Bharatanatyam guru Krishnakumari Narendran (director, Abinaya Natyalaya) was honored with DR.RAJAH SIR ANNAMALAI CHETTIAR BIRTHDAY COMMEMORATION AWARD by S V Chittibabu, former Vice-Chancellor of Annamalai University and Madurai Kamaraj University, at Chennai. The award instituted by the Rajah Sir Annamalai Chettiar Memorial Trust is given every year for a person who renders yeoman service to Tamil music and Bharatanatyam. The award carries a cash prize of Rs.1 lakh and a citation. Following the final performance of The Place Prize 2006, at The Place in London on Saturday 30 September 2006, London based Bharatanatyam dancer Nina Rajarani emerged as the winner. Sponsored by Bloomberg, it is Europe's most prestigious award for choreography. Nina Rajarani was presented with a cheque for £25,000 by 2004 Place Prize winner Rafael Bonachela. She also received a specially commissioned bowl designed by contemporary glassmakers Bi-Me. The Dhananjayans and Peria Sarada were honored on 14th August 2006 at the International Dance Alliance (IDA) Chennai Chapter's 20th Anniversary Celebrations at Music Academy, Chennai. Zee TV Mumbai along with the Archana Trust institutes THE ZEE ASTITVA AWARD recognizing women who make a difference to those around them. The jury comprising of women leaders from different disciplines has chosen women from the field of dance, fine arts, theatre, business, journalism, science and technology etc. Vyjayanthi Kashi was honored with Zee Astitva Award on August 5, 2006 at the Jamshedji Bhabha Auditorium, NCPA Point, Mumbai for her contribution to the field of dance and service to humanity. Bala Devi Chandrasekar, Artistic Director, Shree Padma Nrityam Academy of Performing Arts, Princeton, New Jersey, was conferred the VOCATIONAL EXCELLENCE AWARD for her contribution to Performing Arts in General and Bharata Nrityam in specific. 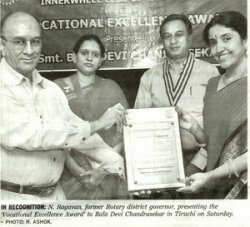 The award was conferred by the Rotary Club of Cauvery Tiruchi and Inner Wheel club of Tiruchi (Tamilnadu) in July 2006. The TENTH DANCE AND THE CHILD INTERNATIONAL (daCi) CONFERENCE was held in The Hague, Netherlands from July 2 – 8. The objective of the conference is the creation of an international platform to support all forms of dance for children and young people. Joan van der Mast, who has been affiliated with the Rotterdam Dance Academy for 22 years, is one of the two directors of the daCi Conference in 2006. The other is Martine van Dijk of the Holland Dance Festival. During the closing ceremonies, between 500 and 600 children from 24 countries danced Van Manen’s Klompendans. The American Dance Festival, directed by Douglas Rosenberg, has screened more than 200 dance films from 17 countries to international audiences. The 11th anniversary of DANCING FOR THE CAMERA - International Festival of Film and Video Dance took place from July 7 - 9, 2006 on the campus of Duke University in Durham, North Carolina. The 2006 Dancing for the Camera festival coincided with SCREENDANCE: THE STATE OF THE ART, a four-day conference (July 6 - 9) on the current state of screendance around the globe that brought together internationally renowned scholars, choreographers, critics, and filmmakers for a series of panels, papers, screenings, mini-workshops, and demonstrations. Vyjayanthi Kashi was awarded the SIDDA SHREE AWARD by Sadguru Chetananda Saraswathi of Siddha Loka on 8th July 2006 at the Jubilee celebrations of Sidda Loka at Magadi. 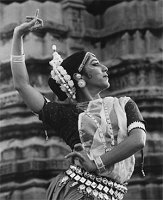 Bharatanatyam guru Sarada Hoffman celebrated her 77th birthday on June 14, 2006. Eminent Odissi dancer Sonal Mansingh is the first dancer in the world to perform "Nritya Sewa" at the foot of sacred Mt. Kailash at the altitude of 17,500 feet during her Kailash - Mansarovar Yatra which started on 4th June 2006 and ended on 19th June 2006. Mira Kaushik, Akademi’s Director was awarded an OBE for her services to dance in May 2006. Dancer Padma Chebrolu wins the prestigious 2006 BLUE CHIP AWARD for Overall Achievement in TV programming. Padma has been recognized for her efforts as the founder, producer and director of World Cultures TV. This is a nonprofit organization that celebrates world cultures and benefits children's charities. Renowned Kathak guru and director of Natya institute of Kathak and Choreography, Dr. Maya Rao celebrated her 78th birthday on May 2, 2006. Attendance, the dance annual of India 2005-06, published and edited by Ashish Mohan Khokar, was released by Hon’ble Dr. T N Chaturvedi, Governor of Karnataka, on May 4, 2006 at Raj Bhavan, Bangalore. Gyani Chiranjiv Singh received the first copy. Akumal Ramachander introduced and Kathak guru Maya Rao was special guest of honor. In recognition of her contribution to the classical art of Bharatanatyam in the capital city, dancer Geeta Chandran was honored by the First Lady of India, Mrs. Gursharan Kaur (wife of Prime Minister Manmohan Singh) with the DELHI RATNA AWARD, bestowed by the Art and Cultural Trust of India, a consortium of eminent artists, at Stein Auditorium, India Habitat Centre, Delhi on May 9, 2006. Vice President Bhairon Singh Shekhawat presented the prestigious LEGENDS OF INDIA LIFETIME ACHIEVEMENT AWARD on dancer/choreographer Chandralekha as an icon of Indian art and culture on Wednesday May 17, 2006 at New Delhi. Apart from being a graphic artist, Chandralekha has explored classical forms like Bharatanatyam, martial forms like Kalaripayattu, therapeutic forms like yoga and symbolic ritual forms like Hastamudras. Legends of India was conceptualized and put together for honoring accomplished artistes / organizations for their contribution to the field of arts. The award comprises a gold plaque, a shawl and cash award of Rs.25, 000. Alaknanda was awarded NRITYA VAIBHAV AWARD by Akhil Bharatiya Sanskrutik Sangh, Maharashtra, on May 21, 2006 at Pune for her outstanding contribution in the field of dance. Bharatanatyam guru M K Saroja celebrated her 75th birthday on April 7, 2006 at Chennai. Her biography is being penned by her son, reputed critic, Ashish Mohan Khokar. Bharatanatyam guru Nirmala Ramachandran was conferred the NRITHYA KALA SAGARAM title during the 29th Annual St. Thyagaraja Music Festival held in Cleveland, Ohio from April 15, 2006. The 3 outstanding male dance artistes who are the recipients of The Dance Centre's 2006 ISADORA AWARDS are Joe Laughlin, Artistic Director of Joe Ink, for Excellence in Choreography, independent dance artist Ron Stewart for Excellence in Performance, and Jai Govinda, Artistic Director of the Jai Govinda Dance Academy and Mandala Arts and Culture, for Excellence in Teaching. The awards presented on April 26, 2006 at Vancouver’s Firehall Arts Centre, includes a sculpture specially created by the eminent glass artist Mary Filer, and fully subsidized rehearsal space at Scotiabank Dance Centre to the value of $1,000, plus $500 cash. 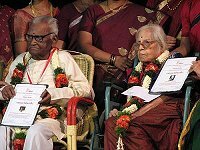 The SIVA FOUNDATION AWARDS were presented to 6 people from different fields, including Savitri Jagannatha Rao (Bharatanatyam guru) and D S Aiyellu (Bharatanatyam costume designer) on March 2, 2006 at Chennai. Madhavapeddi Murthy is the founder-convener of Siva Foundation. 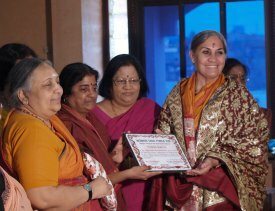 Meenakshi Devi Bhavanani was awarded the PUDUVAI SHAKTI AWARD 2006 by the Women Task Force Y2K on March 4, 2006 at Pondicherry to mark International Women's Day. The task force consists of eminent Pondicherrian women from all walks of life. Meenakshi Devi Bhavanani's and Swamiji's influence on the world of Yoga was appreciated. Rathna Kumar was invited by the Director General of UNESCO, Koichiro Matsuura, to present a keynote speech at the First Roundtable World Conference on Arts Education that took place in Lisbon, Portugal, March 6-9, 2006. This conference, attended by members from over 100 countries, is a trail-blazing policy maker in the field of arts education. The Madras Craft Foundation, in association with Friends of Dakshina Chitra, presented the VIRUDHU AWARD FOR LIFETIME ACHIEVEMENT AND EXCELLENCE in the field of folk performing arts for 2006 to Sri Ganesh Gombeyata Yakshagana Puppet Troupe. Guru V P Dhananjayan presented the award on March 11, 2006. This is the third year of the award and helps encourage individual artistes to remain committed to their special art form. Odissi Dancer Leena Mohanty received the MAHARI AWARD for 2006 from the Pankaj Charan Odissi Research Foundation on March 17, 2006 at Rabindra Mandap, Bhubaneswar. Disciple of Late Guru Deba Prasad Das and Guru Durga Charan Ranbir, Leena is a senior dancer with wide national and international experience. She is the artistic director of Bansi Bilas and is now based at Kuala Lumpur, Malaysia. Padma Shri: Ileana Citaristi (Odissi), Kanaka Srinivasan (Bharatanatyam), Kavungal Chatunni Panicker (Kathakali), Shobana Chandrakumar (Bharatanatyam) Madhup Mudgal (classical vocal), Pankaj Udhas (ghazal). The President, Dr A P J Abdul Kalam conferred the Sangeet Natak Akademi Awards for 2005 on March 20, 2006 at a special ceremony at Vigyan Bhawan, New Delhi. The awardees include: R Rhadha (Bharatanatyam); Tirath Ram Azad (Kathak); Mathoor Govindan Kutty (Kathakali); K Radhamohan Sharma (Manipuri); Korada Narasimha Rao (Kuchipudi); Durga Charan Ranbir (Odissi); Chaotombi Singh (creative and experimental dance); and Josyula Krishna Murthy (Kuchipudi Yakshagana-mridangam). Maharashtra-based puppeteer Ganpat Sakharam M Masge shared the award for overall contribution in performing arts with Pratibha Agarwal. 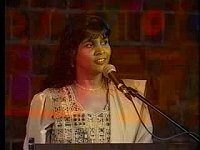 Shyamala Surendran received the KERALA SANGEETH NATAKA ACADEMY AWARD for Mohiniattam for the year 2005. The function was held at Trivandrum Vylopilly Samskriti Bhavan on March 21, 2006. The inauguration and the award distribution was by Adoor Gopalakrishnan. G Venu was awarded for Koodiyattom, Malini Haiharan for Carnatic Music, A Ananthapadmanabhan for Veena, Trichur P Govindankutty for Nadhaswaram, and Guruvayoor Dorai for mridangam. The award comprised cash of Rs. 7500, a silk shawl, citation and a memento. Angarag dance institute in the parampara of Guru Debaprasad Das, conferred the ANGARAG LIFETIME ACHIEVEMENT AWARD 2006 on dance critic and scholar Leela Venkatraman, eminent dancer and scientist Priyambada Mohanty (Hejmadi), and Ramli Ibrahim, artistic director of Sutra Dance Theatre, Malaysia on March 26, 2006 at the First Guru Pranam Utsav, at Rabindra Mandap, Bhubaneswar. 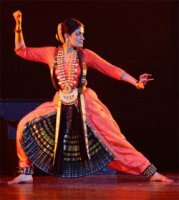 Kathak dancer Shila Mehta has been awarded a Senior Fellowship from Dept. of Culture, Govt. of India, for her project on 'Kathak & Kathakars of Gujarat' in 2005-2006. Dr Kapila Vatsyayan has been nominated by the President of India as a member of the Upper House (Rajya Sabha) of the Indian Parliament for a six year term. The Sruti Foundation honoured eminent vidwan S Rajam with the VELLORE GOPALACHARIAR MEMORIAL AWARD on Friday 10th February at 'Sri Parvati' Centre for Cultural Activities, Chennai. The award function was followed by a talk on S Rajam's life and work by well-known writer, orator, and heritage-lover V Sriram. S Rajam is a veteran musician, teacher, musicologist, famous classical painter/artist, and was an old-time actor in films. For the first time in the US, a structured degree program for a degree in Bharatanatyam has been created by the renowned Alagappa University in Karaikudi, India and the Alagappa Performing Arts Academy (APAA), Escondido, California. The program in Houston was launched on February 11, 2006 at Rathna Kumar’s Anjali Center, 2615 Cordes Plaza, Sugarland, TX. Sree Shanmukhananda Sangeetha Sabha, New Delhi awarded NATYA ILAVARASI to Roja Kannan and Vasanthi Sridhar (Bharatanatyam) on February 25, 2006 on the inaugural day of their annual Tyagaraja Music and Dance Festival. The Tamil Nadu Iyal Isai Nataka Manram conferred the Tamilnadu State Government KALAIMAMANI Awards for 2004 and 2005 to 123 artists at a function in Chennai on February 25, 2006. Among the awardees for Bharatanatyam are Sarada Hoffman, Shobana Ramesh, Leela Samson, Ambika Kameshwar, Jayanthi Sybramanian, Rhadha, Adyar K Gopinath, G P Kamala (Bharatanatyam vocalist), J Padmanabhan (mridangam) and C Sasidaran (flute). Other awardees include Gopika Varma (Mohiniattam), Snehalata Kandan and MVN Murthy (Kuchipudi). R Krishnaswamy (Narada Gana Sabha), R Rajagopal (Kartik Fine Arts) and Lion Natarajan get the award for propagation of art. Vocalist O S Arun got the award for music. Kathak/contemporary dancer Madhu Natarj-Heri has been chosen as one of THE YOUNG ACHIEVERS by popular magazine India Today (Feb 2006 issue). Rotary International's PRATIBHA AWARDS celebrate excellence in endeavor and success in various careers. The awardees for 2006 include dancer/choreographer Geeta Chandran. The awards were presented by Delhi Chief Minister Sheila Dikshit at a glittering ceremony at Siri Fort Auditorium on 26 February 2006. Invis Multimedia won the NATIONAL AWARD FOR BEST PACKAGING for Symphony Celestial, a collection of ten individual DVD/VCDs on Indian Dances with English subtitles for easy understanding. Kathak, Mohiniattam, Kuchipudi, Bharatanatyam, Kathakali, Koodiyattam, Yakshagana, Sattriya, Manipuri and Odissi are presented by leading exponents of the dance forma. Invis Multimedia is known for introducing the many facets of India's culture and heritage through CD-ROMs, Audio CDs, VCDs & DVDs on ayurveda, yoga, dance, theatre, music, art forms, travel. The Indian Fine Arts Society conferred the title NATYA KALASIKHAMANI on dancer Chitra Visweswaran on January 4, 2006 at 5.30pm at Balamandir German Hall, Chennai. Bharatanatyam dancer Anwesha Das was conferred the title NATYA CHUDAR on January 5, 2006 by Kartik Fine Arts in recognition of her talent as a young and upcoming artiste. She received a citation, medallion and Rs.5000 from M Anantha Padmanabhan, CEO, Best and Crompton Engg. 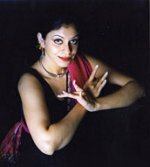 Dancer/choreographer/teacher Rathna Kumar, had the honor of being the only Indian dancer in the US to be invited, by the Ministry of Overseas Indian Affairs, Government of India, to both perform and speak at the Pravasi Bharatiya Divas 2006, held in Hyderabad on Jan 7-9, 2006. Her presentation at the plenary session was on "Culture and the Diaspora." The Kolkata chapter of Srjan, Guru Kelucharan Mohapatra Odissi Nrityabasa, conferred the GURU KELUCHARAN MOHAPATRA YUVA PRATIBHA SAMMAN on Saswati Garai on January 8, 2006 at Uttam Manch, Kolkata. Celebrating 80 years of the Odissi legend, a DVD on Guruji was also released. Sri Parthasarathy Swami Sabha conferred the title NATYA KALASARATHY on guru Kalanidhi Narayanan on January 16, 2006 on the occasion of its 106th year dance festival in Chennai. 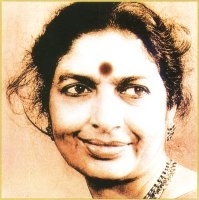 Kathak guru Maya Rao was awarded a Doctorate by Bangalore University in recognition of her contribution, scholarship, research work and commitment in the field of Dance and choreography at Chowdiah Memorial Hall, on January 26, 2006. Piali Ray OBE, founder and Director of sampad South Asian arts, has been awarded an honorary doctorate by the University of Central England (UCE), in recognition of her distinguished achievements as a champion, choreographer and educationalist in the field of multi-cultural arts and dance. This prestigious award was conferred on 27th January 2006 at the University's Awards Congregation in Symphony Hall, which celebrated the work and achievements of students graduating from the UCE Birmingham Faculty of Education. Kanak Rele has been selected for the prestigious KALIDAS SAMMAN AWARD by the Madhya Pradesh Govt. for the year 2005-06 for her contribution of reviving, rejuvenation and propagation of Mohiniattam.